Fast Cleanup for Slow Cooking! We are the ORIGINAL drip pan/bucket liner company--and our liners work so much better than our competitor. COMPARE HERE! Our Drip Pan Inserts fit over 85% of pellet grills sold today including the most popular models/sizes of pellet grills from the two largest manufacturers: Traeger® and Green Mountain Grills®. Standard Size inserts fit manufactures such as Traeger®, Cabelas®, Camp Chef®, and RecTec®. Our GMG® sized pans are designed to fit exclusively the Jim Bowie, Daniel Boone and (NEW) Davy Crockett!!! Fast cleanup for slow cooking!™ Drip EZ Drip Pan Inserts™ and Drip EZ Drip Bucket Inserts™ make dealing with grease fast, clean and easy! Drip EZ Drip Pan Inserts™ keep your drip pan clean for better flavor with every cook. 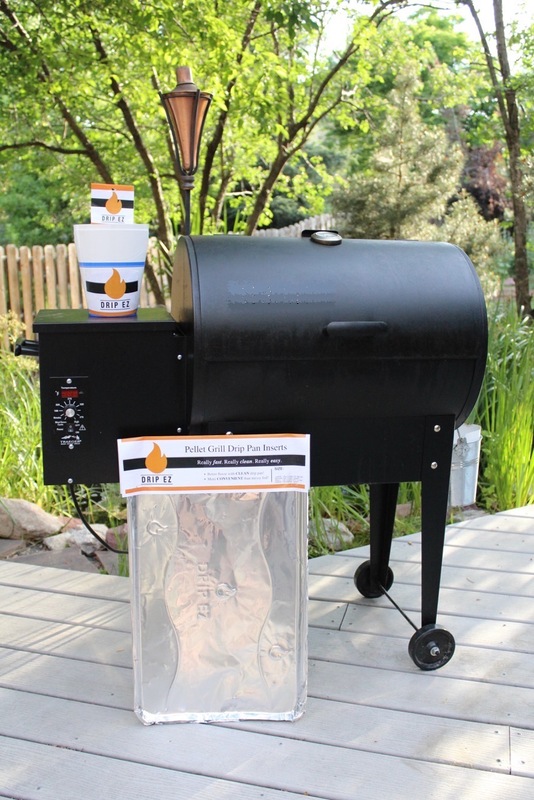 Drip pan inserts can be changed in seconds with one hand and without removing the grate from your pellet grill. No need to wrap or secure like with foil. 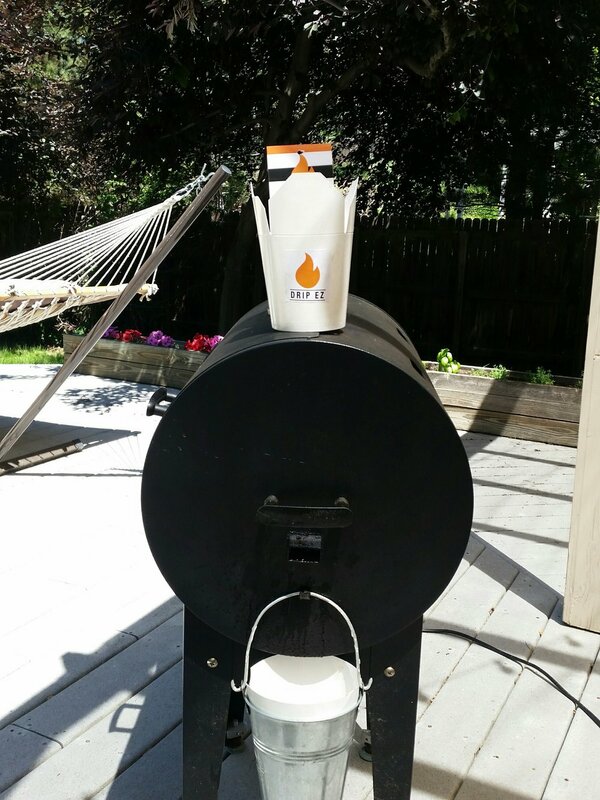 Drip EZ™ has a PATENT PENDING for our Drip Pan Inserts that transform the ease of pellet grill cooking. Drip EZ Drip Bucket Inserts™ make disposing of grease from your drip bucket a snap--simply remove insert from drip bucket when grease is cool, close flip top and dispose--no more scraping out bucket! *IMPORTANT: Bucket Inserts should be replaced after very hot cooks and/or at regular intervals to prevent leaking after being exposed over long periods of time to liquid/weather. New Drip EZ Drip Bucket inserts make excellent containers for leftover BBQ meat...just fold the flaps and put in the fridge! When done using for temporary meat storage...then use as you normally would to catch grease in your bucket! Fast, Clean, and E-Z! CLICK LINK BELOW TO PURCHASE (TRAEGER®)STANDARD SIZE PANS AND BUCKET LINERS! Buy Pan Inserts on AMAZON here! Buy Bucket Inserts on AMAZON here! *IMPORTANT: Bucket Inserts should be replaced after very hot cooks and/or at regular intervals to prevent leaking after being exposed over long periods of time to liquid/weather. Drip EZ Continues to Grow! GMG size pans made exclusively for the Daniel Boone, Jim Bowie and Davey Crockett are distributed by and available through GMG (Green Mountain Grills, LLC). Make sure to ask your GMG distributor/retailer to carry them! 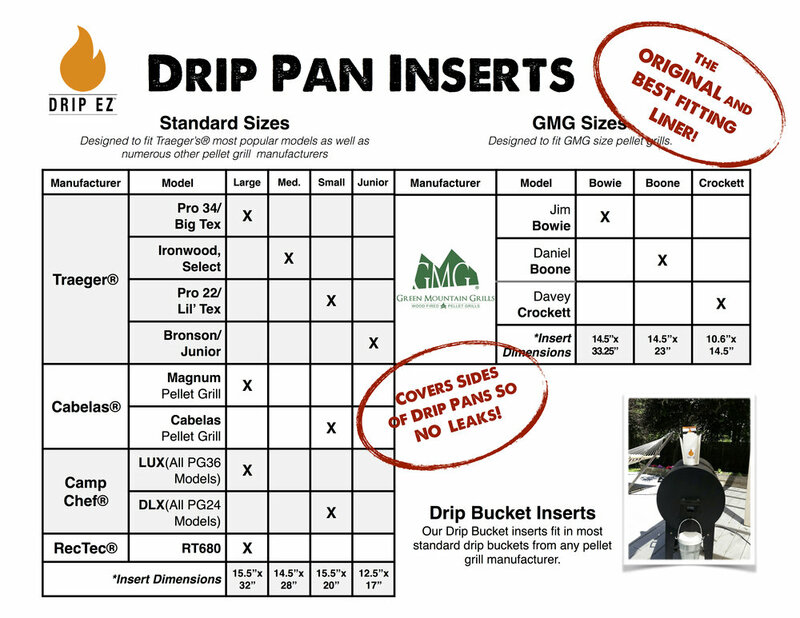 Also, Drip EZ is now available in Sportsman's Warehouse in both "Standard Size" and "GMG" pans. Check the store locator below or go to Sportsman's Warehouse store locator site to find a store near you. Our Drip Pan Inserts fit over 85% of pellet grills sold today including the most popular models/sizes of pellet grills from the two largest manufacturers: Traeger and Green Mountain Grills. Standard Size inserts fit manufactures such as Traeger®, Cabelas®, Camp Chef®, and RecTec®. Our GMG sized pans are designed to fit exclusively the Jim Bowie and Daniel Boone.